With this App, the availability of the products at a location can be searched through the zip code. Now, the customer can see if the product is available for shipping at a specific location or not. The merchant can assign different zip codes to various products according to their availability on the respective locations. A feature of this app is that the zip code can be activated or deactivated by the merchant and if any zip code is deactivated by the merchant from the backend, the delivery on that particular zip code will automatically become unavailable on the Store. The App Comes with a Pricing Plan of $9 USD per month. Merchant adds Product Availability at a specific location. 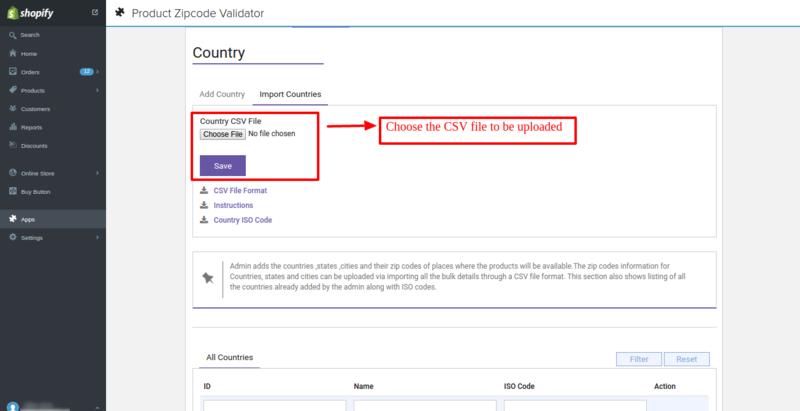 Admin can upload the Product Zip codes CSV File. Admin can activate/deactivate already assigned zip codes. Now admin can assign all added zip codes to a new product by simply the checking the box from the configuration. At the time of assigning zip codes to the products, you can now select 100 results per page check them all with select all button and choose the bulk action of ‘assign all zip codes to marked products /all products’. 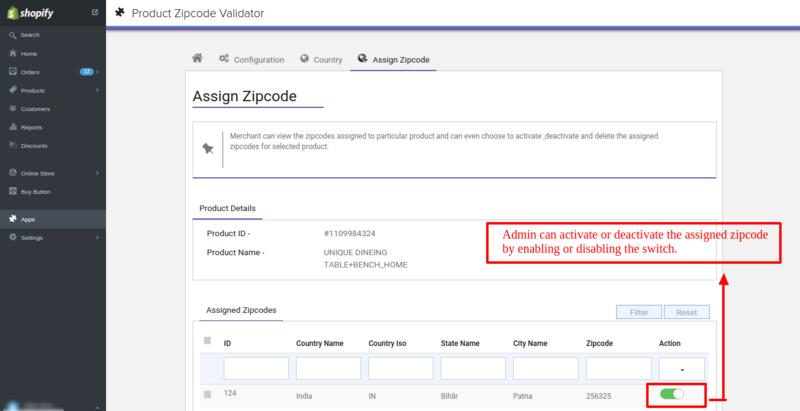 Clicking on the View button In front of the product from Assign zipcode section, you can select various rules as well for assigning the zipcodes. Checking Rule 1 will be: all the zip codes will get assigned to your product. Checking Rule 2 will be: Blacklist some zip codes, through this rule you can remove some of the zip codes from your product. Clicking on this option you will get the option to upload CSV of those zip codes you want to blacklist. Checking Rule 3 will be: Assign some zipcodes to the selected product. 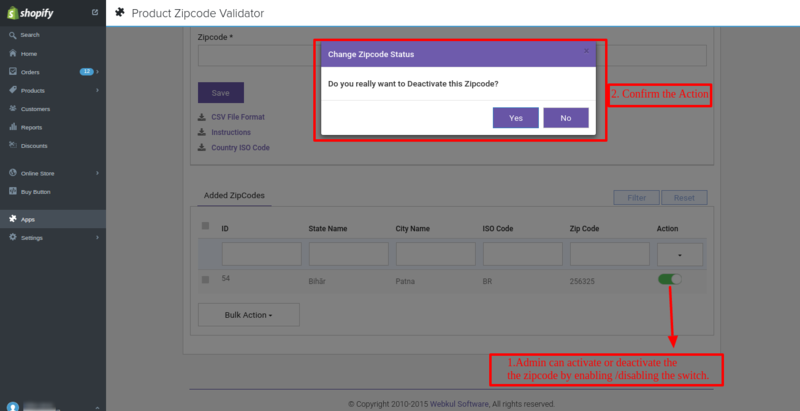 Product Zipcode Validator App for Shopify: Installation and Configuration. To configure this amazing app will take just a few seconds of yours. 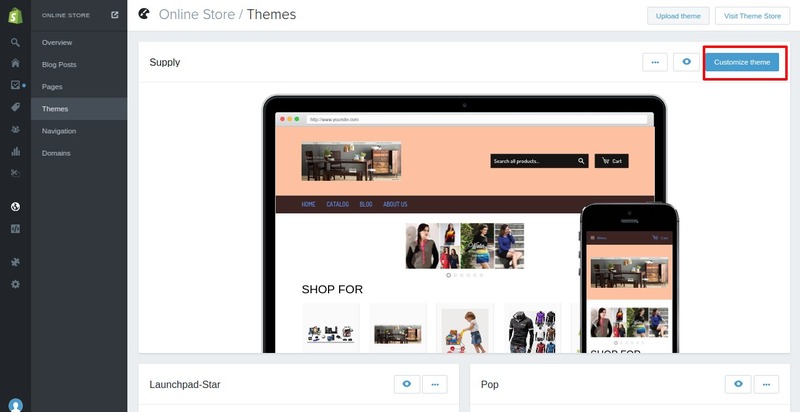 From here you can mention the URL of your store for which you want to install the app, also you can edit& rename the labels if you want as per your requirement. Once you are done, go ahead and add the countries. Merchant adds the countries, states, cities and their zip codes of places where the products will be available. This section also shows a list of all the countries already added by the merchant along with ISO codes. Clicking on View Button in front of each country, the merchant will get redirected to the page where he will get to add the zip codes. Also, the list of added zip codes can be viewed. 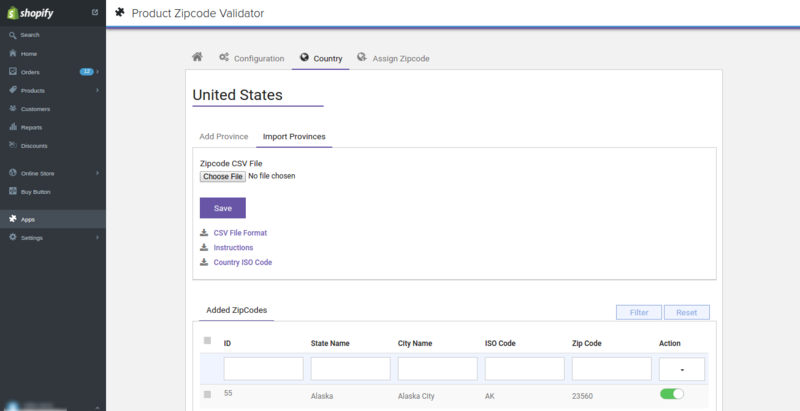 Zip codes can be added via a CSV file if the data is in bulk. 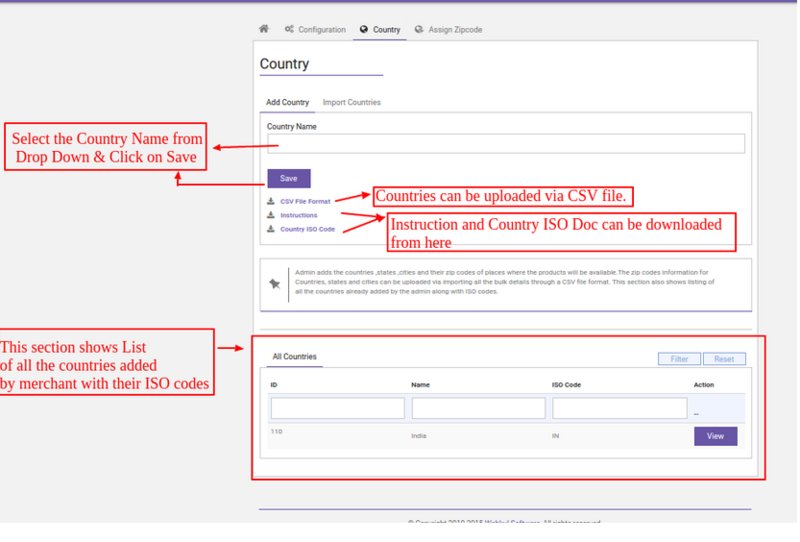 The instruction and Country ISO codes can be downloaded from this section. The merchant can add provinces along with zip codes in bulk by uploading the CSV file. Special feature: A feature of this app is that the zip code can be activated or deactivated by the merchant. And if any zip code is deactivated by the merchant from the backend, the delivery on that particular zip code will automatically become unavailable on the Store. The zip codes information for Countries, states, and cities can be uploaded by the merchant via importing all the bulk details through a CSV file format from this section. The merchant can assign different zip codes to various products according to their availability on the respective locations and can also view the already assigned zip codes from this section. The merchant can even upload the Product Zip codes CSV File to upload the zip codes in bulk. Clicking on View button, the already assigned zip-codes can be viewed for that particular product. 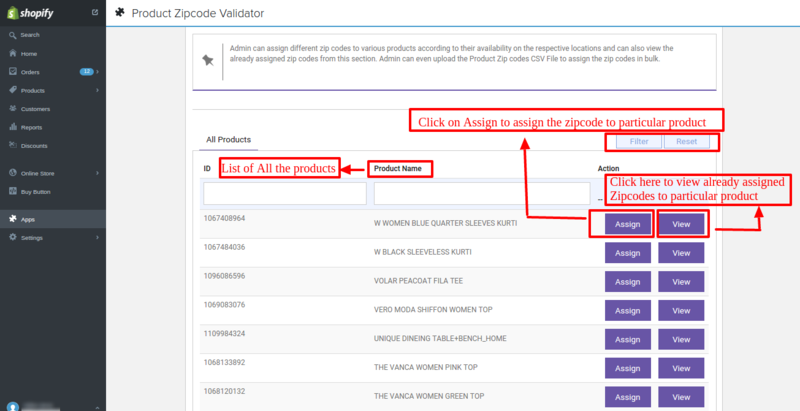 How to Display “Product Zipcode Validator” on the Product Description Page! You have to Copy the below-given code and paste it to product.liquid template. once you will enter your zip code and click on the Check button, the result will get displayed whether the delivery of the product is possible on the entered zip code area or not. And if yes then Add to Cart button will get enabled. 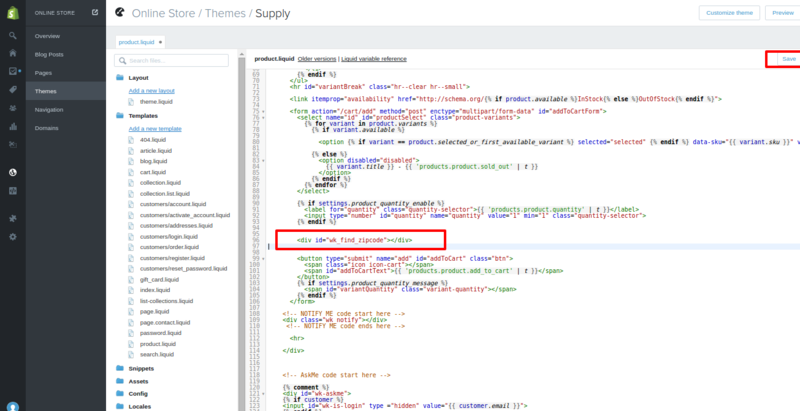 That was all about Product Zipcode Validator for Shopify app. 1. when pin code availability is not available, this app is not allow the customer to add the product in the cart. Sorry for your inconvenience . Please raise ticket at http://webkul.com/ticket . Our development team will look into it .